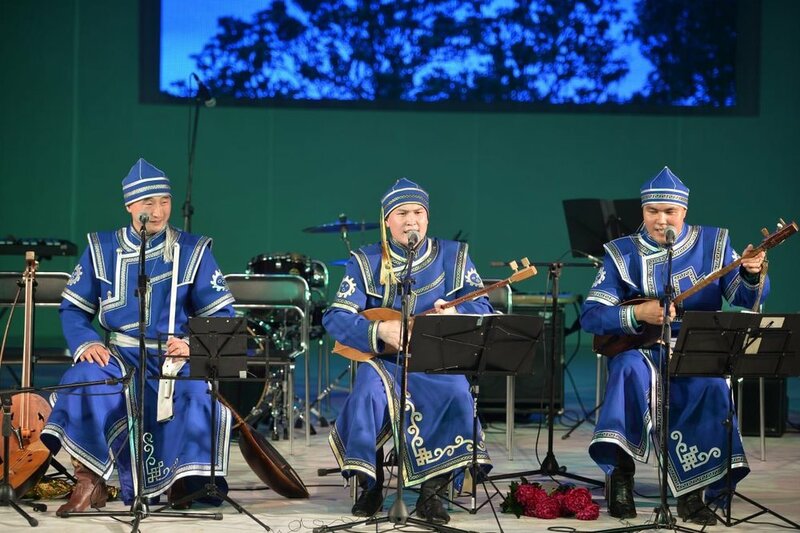 Altai Kai is a world renowned ensemble of throat singers from the Republic of Altai. The throat singing group was founded in 1997 by Urmat Yntaev, with the goal of preserving and cultivating the traditional culture of the Republic of Altai, in particular the various styles of throat singing known as kai. Their velvety kargyraa (the lowest style of throat singing), mesmerizing khoomei (middle range throat singing), and melodic sygyt (highest range throat singing) place the listener amidst forests of singing birds, gurgling brooks, and the growls of nighttime predators. Stories of nature's beauty and mighty folk heroes are accompanied by jocular melodies, dancing rhythms, and shamanic mysteries. The narrators skillfully relate traditional, sacred tales and epics of centuries past. Throat singing and the ringing melodies of the khomus, topshur and accordion all come together to form the sound of Altai Kai. The art form of throat singing has been passed on through generations, and the members of Altai Kai are virtuosos in multiple genres. 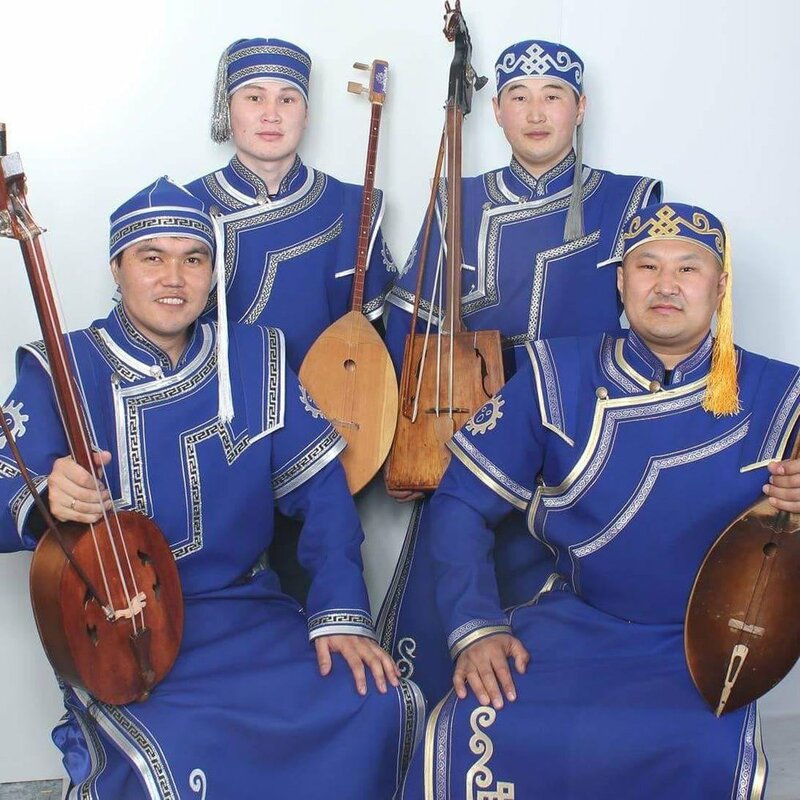 They are laureates of numerous national and international competitions, and Altai Kai has participated in prestigious international festivals of world music, including their international debut at WOMEX 2007 (Spain) and WOMAD (Great Britain). Through their international touring, Altai Kai has introduced the world to the beauty of kai (the Altai word for throat singing). In 2003, they were inducted into the Guinness Book of World Records for the longest performance of throat singing. They are members of the Folklore Union of Russia, and the International Organization of Folk Art (an NGO accredited by UNESCO). Urmat Yntaev has been recognized as a People’s Throat Singer (“Kaichy”) of the Altai Republic. He is the grandson of Anisiya Beleeva, a prominent female throat singer who lived to be 102. In 1997, Mr. Yntaev founded the ensemble Karaty-Khan, and in 2000 renamed it to Altai Kai. He is the producer and artistic director of Altai Kai, as well as the organizer of an annual throat singing festival called Altyn-Taiga, and the annual Altai Festival of World Music. He is an undisputed master of multiple styles of throat singing, but he says his favorite style of throat singing is tumchuk-kargyraa. In 2017, Mr. Yntaev celebrated twenty years as a professional throat singer. He is a descendant of the Jabak clan, and he was born in the Kara-Kudyur village of the Ulagan district in Altai. Alash is a throat singer from the Kobok clan. He was born in Pasparta village in the Ulagan district. He is the nephew of the nationally renowned throat singer A.G. Kalkin. Since his early years, Alash admired his uncle and always dreamed of following in his footsteps as a throat singer. 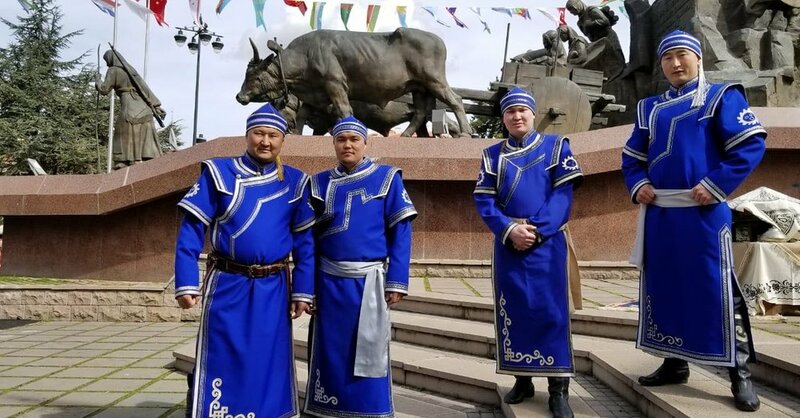 Alash has been with throat singing group Altai Kai since December 2009, and continues to follow in his uncle’s footsteps as an ambassador of Altai folk culture. Along with being a master of multiple styles of throat singing, Alash excels at imitating the sounds of animals, and plays several traditional Altai instruments. Eduard is a singer from the Kobok clan. He was born in the Ulagan village of Ulagan district in Altai. After finishing school, Eduard joined the Altai State Philharmonic as a soloist. He is a distinguished graduate of the Altai Republic College of Culture and Arts, where he studied vocal performance. He is a tenor. Aidyn is from the Saal clan. He was born in Ulagan village in the Ulagan district of Altai Republic. He is a descendant of a long lineage of Altai throat singers, and he first began practicing traditional throat singing at the age of 12. He is especially gifted in the epic genre, and performs an epic he composed as part of Altai Kai’s program. He plays traditional Altai instruments, including the topshuur (a traditional Altai flute) and the ikili. He is a master in several styles of Altai throat singing, including kargyraa, khoomei, and sybysky.